Closing night of the 72nd anniversary season of live harness racing at Harrington Raceway was completed Wednesday, with end of season awards highlighting the program. Driver Mike Cole and trainer Joe Columbo each won their first titles. Murmur Hanover was presented Horse of the Meet honors. The legendary pacer Foiled Again ($12, Montrell Teague) notched his 105th career win Monday at Harrington Raceway in 1:55.1. The ageless pacer gave Delaware racing fans another memory in his final season of racing with an impressive performance. 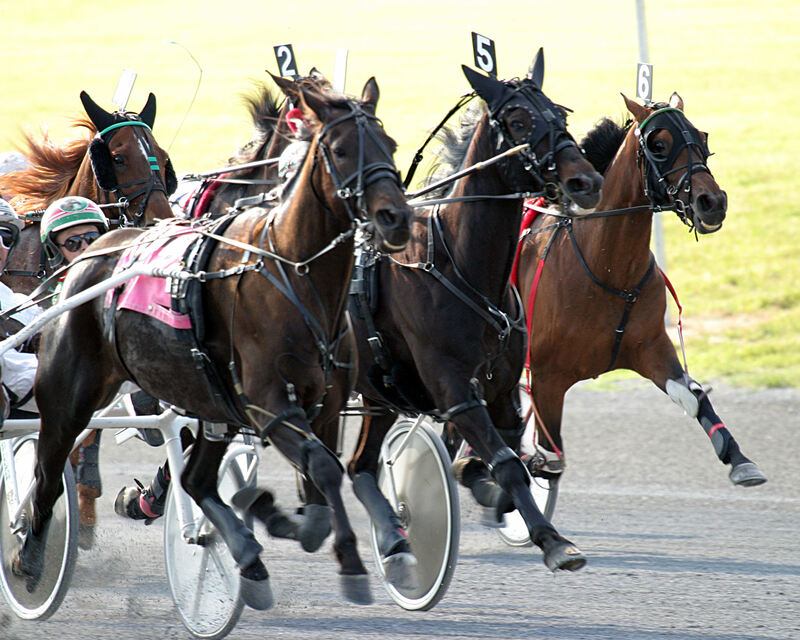 Harrington Raceway's leading driver, Victor Kirby won five races on the Monday program. Many of the top Delaware sired 2-year-old horses were showcased Wednesday at Harrington Raceway as four $100,000 Delaware Standardbred Breeders Fund (DSBF) events highlighted a 15-race program. Mike Cole drove four winners. Ken Wood, Bill Dittmar and Stephen Iaquinta's Soto ($4.20, Art Stafford Jr.) was a 1:52.4 winner in the $11,000 Open II pace Monday at Harrington Raceway. Mike Cole had four driving wins. Offspring of sire He's Spooky won 3-of-4 $20,000 Delaware Standardbred Breeders Fund (DSBF) divisions Wednesday at Harrington Raceway. HARRINGTON, Del. - Andrew Glassmeyer's Embrace The Grind ($2.80, Jon Roberts) was the fastest of three Delaware Standardbred Breeders Fund (DSBF) elimination winners for 2-year-old trotters Wednesday at Harrington Raceway with a 2:00.2 triumph. Sunfire Blue Chip ($17.20, Mark Macdonald) was a 1:51.1 winner in the 12th Annual $150,000 Bobby Quillen Memorial at Harrington Raceway Monday. A reminder to horsemen that live racing will resume on August 20. The first draw will be Tuesday August 14 and the entry box will close at 10 a.m. Qualifiers will take place on August 15 and will be drawn on August 14. Harrington Raceway’s richest program of the season, the annual Governor’s Day program at the Delaware State Fair, was contested Thursday, highlighted by four $100,000 Delaware Standardbred Breeders Fund finals for 3-year-olds as well, three of which were won by driver Russell Foster, and program fixtures like the $40,000 Governor’s Cup for older horses. The richest program of the season at Harrington Raceway is set for Thursday during the Delaware State Fair as the annual Governor’s Day program will be contested with an 11-race program (7 p.m. post time). Mike Casalino Jr. and Dylan Davis' Theresademoninme ($3.60, Jon Roberts) was a 1:56 winner in the $17,500 Open Trot at Harrington Raceway Wednesday. Chris White's Fashion Showdown ($4.60, Tony Morgan) was a wire-to-wire winner Tuesday in the $17,500 Mares Open at Harrington Raceway in 1:52.4. Blazing Bobby Sox ($4.20, Art Stafford Jr.) was a decisive winner Monday at Harrington Raceway in 1:52.1 in the $15,000 Delaware Special. I Like My Boss ($10.20, Allan Davis) was a narrow winner in the $16,000 Open Trot Wednesday at Harrington Raceway in 1:57.4. Jo Ann Looney-King celebrated her birthday in style Monday when her 7-year-old pacer Little Ben ($4.60, Victor Kirby) triumphed in the $15,000 featured Delaware Special at Harrington Raceway in 1:52. CC Racing and Jo Ann Looney-King's Newborn Sassy ($3, Tim Tetrick) was a decisive 1:51.2 winner and became the fastest pacing mare in Harrington Raceway history Tuesday in the $15,000 Mares Open. 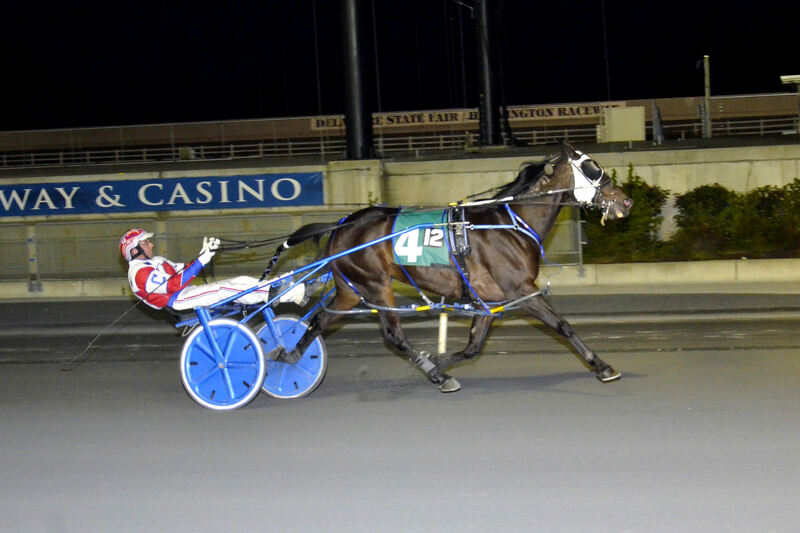 Major Uptrend didn't disappoint his many backers Monday with a 1:53 win in the featured $16,000 Open Pace Monday. James Moore III's Nf Happenstance ($2.40, Jack Parker Jr.) won the featured $15,000 Open Trot Wednesday at Harrington Raceway in 1:54.3. Legacy Racing of Delaware's Empress Deo ($24.60, Montrell Teague) was an upset winner in 1:54.3 in the featured $15,000 Mares Open Tuesday at Harrington Raceway.